The 51st Bal Gurukul of IDF - IDEAL BAL GURUKUL - was inaugurated at Goa on the 29th September 2011 in a simple and meaningful function. Holy Cross Institute, Quepem, Goa, run by Ideal Education Society, Goa partnered with IDF to serve the underprivileged children. Around 50 children will be benefiting from the program. Dr. Uday C. Gaunker, Headmaster, Mrs. Yvette D'Silva, Asst. Headmistress and the teachers of the Bal Gurukul, Mrs. Rekha Nayak and Ms. Priyanka Desai from Holy Cross School were present. Mrs. Solly Mathew and Miss. Mischelle also participated in the event along with a few other teachers of the school. Dr. Uday. C. Gaunker, Headmaster welcomed Dr. S. Franklin, talked on the purpose of the Bal Gurukul movement and appreciated the enthusiasm and commitment of the school team for the betterment of the children. Mr. C.A. Mathew enthused the children to perform well in their studies. Mrs. Yvette D' Silva appreciated the social concern and useful activities of IDF. Mrs. Priyanka Desai proposed vote of thanks. Sweets were distributed to the students. While interacting with the students, many of them said they either become teachers, doctors, engineers, police officers or pilots. IDF team wished them all the best. Most of the Bal Gurukul students hail from very poor background and poor in academics. The teachers expressed hope that the Bal Gurukul will help the students compete with the rest of the students and excel in their studies for a successful life ahead. IDF's Tmt. Leela Thangam Bal Gurukul at Coimbatore, Tamil Nadu. A world of little gods. Indian Development Foundation(IDF) and Standard Chartered Bank (SCB) have been partners in tree planation and environment protection work across India. 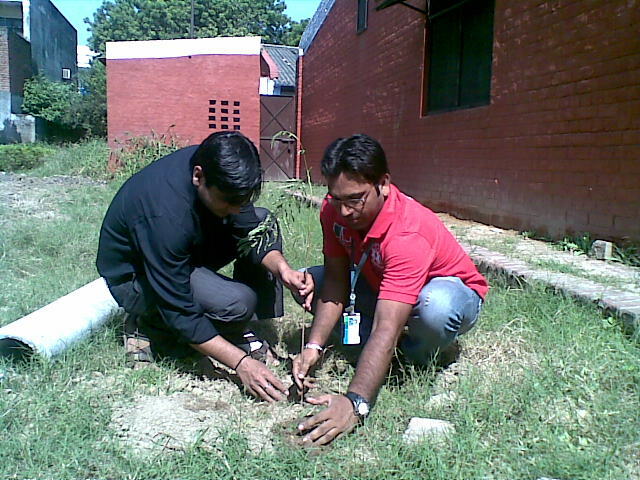 On 24th September 2011 IDF and SCB Partnership opened up a triangular mega event of Tree Plantation Drive in Mumbai, Ghaziabad and Chennai by planting 3500 saplings. Sivanthi Matriculation Hr. Sec. 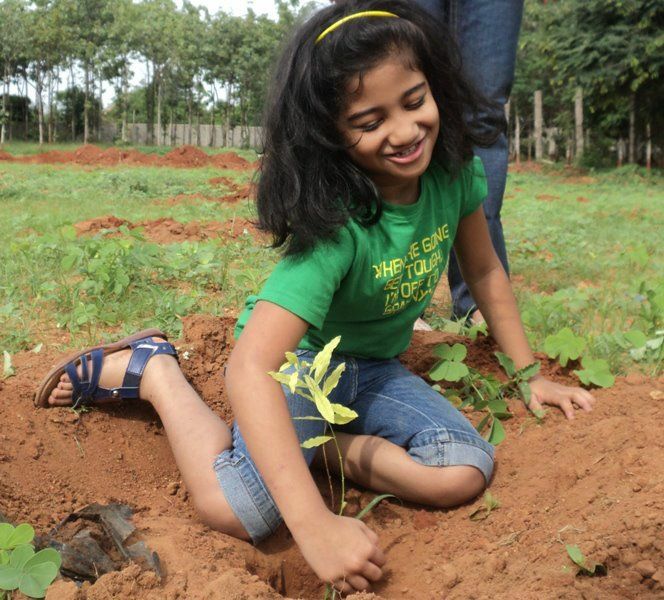 School, Chennai – 700 saplings. A good number of volunteers drawn from SCB, IDF and social enthusiasts participated in each of these events. Mr. Matthew Norris, Chief Information Officer – South Asia, Standard Chartered Bank highlighted the need for afforrestation efforts to gain ecological balance and better quality of life for the citizens. SCB has a pragmatic policy of encouraging tree plantations all over India and IDF partnership works well to gain wide coverage, he added. 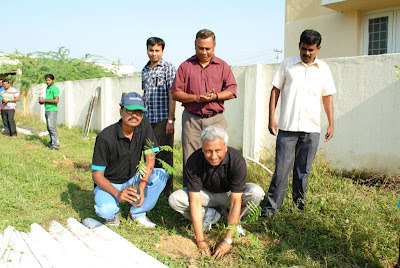 Dr. Narayan B. Iyer, CEO, IDF and Wg.Cdr.S.Balasubramaniam, IDF Social Ambassador emphasised the need for popularising afforestation efforts all over India by enlisting the support of corporates and educational institutions. Protection of environment is a sacred duty of every citizen and efforts should be made to get promoters for the cause along with volunteers in good numbers. 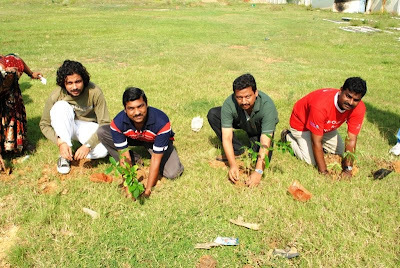 IDF is happy partnering with Standard Chartered Bank on tree plantation drive all over India and with more enthusiasts coming forward, he welcomed a sea-change in the mindsets of people or caring for preserving green effects. More efforts of this nature are sure to catch up the imagination of people, leading to better results, they added. NSS Volunteers from UPG College of Management and Vivek College of Commerce lent excellent support in organizing the event in Mumbai. 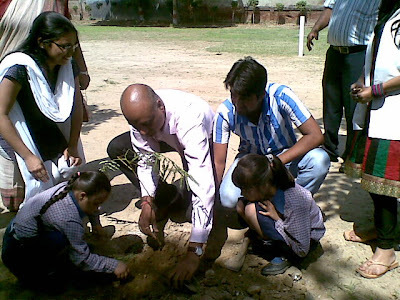 Planting of over 700 sandal tree saplings in Swaminarayan Gurukul International School in Hyderbad on Sept 17 marked the first major event in pan India operations on 17th Sept 2011. 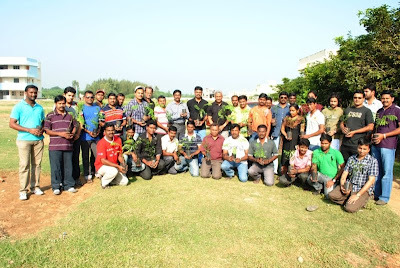 The last phase of the plantation will be organizing an event on 15th Oct. 2011 at Jade Garden, Sadahalli village in Bangalore where 1000 plants will be offered to the nature. Standard Chartered Bank in collaboration with Indian Development Foundation organised a Tree Plantation Drive on 24th Sept. 2011 at Sivanthi Matriculation Higher Secondary School, Kundrathur, Chennai. 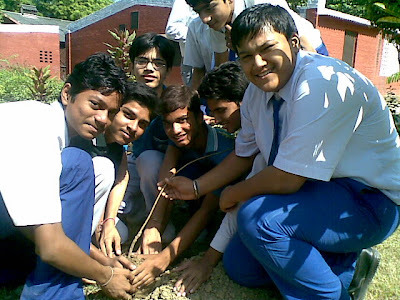 700 plants were offered to the `Mother Earth'. SCB team members activitely participated in the event and helped the young students from Sivanthi School in the plantation. Mr. S. Sreeram, Mr. Sathyamurthy and Mr. Krishnamurthy from IDF congratulated SCB team for their excellent CSR initiative. The Principal of the school thanked IDF and SCB for offering 700 plants to their institution and assured of proper care and protection. Standard Charterd Bank in collaboration with Indian Development Foundation organised a Tree Plantation Drive in Ingraham Institute, Ghaziabad. Mrs. Sapna Shepherd from Ingraham Institute organised the event which was well supported by the Principals, teachers and students of the institute. Mr. Vikas Gill, IDF Social Ambassador encouraged the students to do more plantation while the SCB team members actively participated in the drive and thereby offered 1000 plants to Mother Earth. Dr. Hepesh Shepherd, Director of Ingraham Institute congratulated and thanked IDF and SCB for the wonderful offering to the environment. 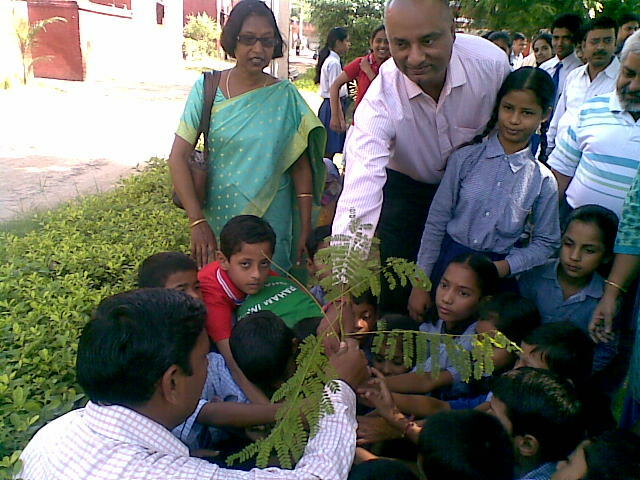 Indian Development Foundation and Standard Chartered Bank jointly organized a plantation drive at the premises of Shri Swaminarayan Gurukul International School,Hyderabad 17th Sept.2011. Mr. Monish Kumar Sinha, Deputy Commissioner of Police, Cyberabad inaugurated the program by planting a few saplings. Appreciating the students assembled there for their involvement in the plantation drive, he said, students need to exercise better control over their mind to succeed in their lives. Dr. S. Franklin, Manager - SR of Indian Development Foundation said that the program at Hyderabad was a part of the national plantation drive undertaken by Standard Chartered Bank and IDF. He appreciated Standard Chartered Bank and its Social Champions at Hyderabad for their commendable participation and support. 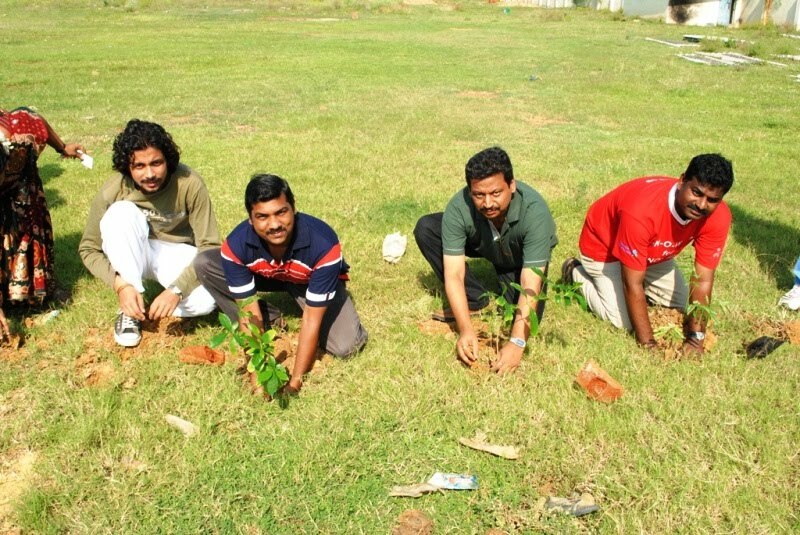 During the program 700 sandalwood saplings were planted. Around hundred volunteers took part in the event with zeal and enthusiasm. Mr. P. Sunder, Manager Whole Sale Banking, Mr. Girish Gala, City Head, SME Loans, Mr. M. Hussain, Branch Manager, Hyderabad, Mrs. Mohana Priya, Branch Manager, Secunderabad, Mr. Rajesh Panda, Director, OCC, Mr. Prem Mohanty, Director, OCC, and Mr. Siddharth Shah, Area Manager, Acquisition, from the Standard Chartered Bank took active part in the event. His Divine Holiness Shri Deva Prasad Das Swamiji, Chairman and Managing Director of the Shri Swaminarayan Gurukul Trust, conveyed his good wishes and blessings for the success of the program. Swamiji Shri Achut and Sadhu Vishwamangal from Shri Swaminarayan Gurukul extended wholehearted support by arranging drip irrigation and proper maintenance of the plants. Mr. Sanjaay Ramm, IDF Social Ambassador, Mr. Samuel Vincent, Zonal Officer of IDF and Mr. P.V. Rao had made necessary arrangements for the event in a fitting manner. The President of India, Smt. Pratibha Patil presenting Award of Excellence to Mr.Ajeet Singh, IDF Social Ambassador for outstanding support extended for social service in Rajasthan. 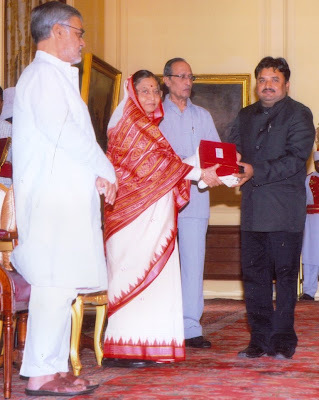 The Award was presented on 09-09-11 at the Rashtrapati Bhavan, New Delhi. The event was organised by Jaipur Bhartiya Prachya Jyotish Sodh Sansthan to honour people who contributed for excellence to humanity. IDF is proud of this achievement. TEAM IDF congratulates Mr.Ajeet Singh for this wonderful achievement. This will certainly inspire many to join hands with IDF as Social Ambassadors and strengthen Project Goodness. India’s progress in leprosy eradication efforts has been spectacular and the participatory work by governmental and voluntary agencies is laudable, observed Dr. Ganesh Raja in Mumbai on Wednesday. We are happy that the cherished dream of the Father of our nation for leprosy elimination has come true, he added. Dr. Ganesh Raja was speaking as the Chief Guest of Indian Development Foundation’s (IDF) Foundation Day Function at Master Dinanath Mangeshkar Hall on 14th September 2011. He gave away IDF Grants to leprosy/ TB hospitals and projects in western region. IDF has earmarked Grants totaling Rs.60 lakhs to 120 health/ development projects all over India during the year. IDF Grants Release Function is an annual feature of Indian Development Foundation to share its resources with leprosy/ TB projects and promote self-reliance. The Chief Guest also presented Awards to 27 Principals of Schools in Western zone with star performance record of leprosy awareness programmes and resource mobilisation and awarded Medals and certificates to 122 students for their signal contribution. Prestigious MOTHER TERESA MEMORIAL AWARD 2010-11 was presented to Podar International School, Santacruz (W), Mumbai for outstanding resource mobilisation for leprosy/ TB work in western zone. IDF SOCIAL ACTION AWARDS 2010-11 were presented to Principals and Teachers for their excellent Social Responsibility during 2010-11. IDF Dynamic Supporter Award was presented to Mr. S. Jayakumar, Country Manager - HSE, Halliburton., while IDF Social Ambassador was presented to Mrs. Neeta Kirit Sanghavi, Mr. Keshav Poduval and Mrs. Rekha Bajaj. IDF CSR Awards for 2010-11 were presented to 9 Corporate Bodies - ARM Research Pvt. Ltd, Dominos Pizza India Ltd., Giri Trading Pvt. Ltd., Halliburton, Jai Bhavani Shankar Restaurant, Mahindra Finance, Standard Chartered Bank, Whistling Woods International and Wockhardt Foundation - for their excellent participation in social responsibility programmes of IDF. Dr. A. R. K. Pillai, President, Indian Development Foundation who presided over the function said the government and voluntary agencies worked hand in hand with admirable co-operation to achieve the leprosy elimination status in India. Dr.Pillai thanked the public for their understanding and continued support. 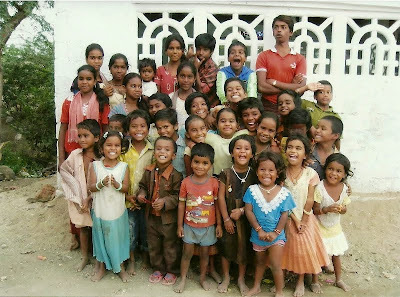 Sharing resources and serving others give greater joy and this will be the gospel for the future, Dr. Pillai added. Guests of Honour - Wg. Cdr. S. Balasubramaniam VrC and Dr. Geetha Mohan, Principal, UPG College of Management spoke on importance of creating social soldiers who can bring about a social change in the society. IDF is an excellent platform for young students to develop social temper for the progress of the nation, they added. Dr. Vandana Lulla, Director, Podar International School and Special Invitee at the function complimented Indian Development Foundation’s role in India’s fight against leprosy/TB and for widening its activities to include health care, education and development. Podar International School, Santacruz (W) Mumbai topped the list in resource mobilisation for leprosy/ TB while the second and third places went to Snehavardhak Mandal's Shaikshanik Trust, Talegaon, Pune and Powai English High School, Powai, Mumbai respectively. Kinjal Mehta from Podar International School (SSC), Santacruz bagged the first position while Shaneela Gharat from Bhavan's A.H. Wadia High School, Andheri (W) and Disha Jain from Podar International School (IB), Mumbai secured second and third positions respectively in the list of students in resource mobilisation for leprosy/ TB work. 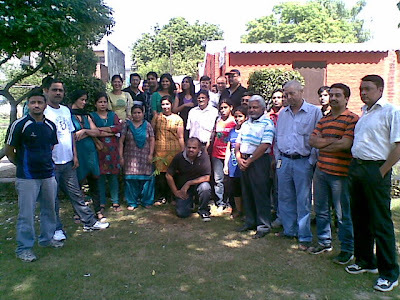 People from all walks of life attended the well organised function. Earlier Dr. C.N.N. Nair, Trustee-Treasurer of the Foundation welcomed and introduced the guests, while Mr.Keshav Poduval, IDF Social Ambassador proposed a vote of thanks. Dr. Narayan B. Iyer, CEO, IDF compered at the function. Students from SES Secondary School, Panvel added symphony to the entire programme. Volunteers from UPG College of Management and Vivek College of Commerce co-ordinated the event. * IDF Best Partner Award and Dynamic Supporter Award for supporting humanitarian work for over 10 years. * Mother Teresa Memorial Award to Tagore Groupof Institutions for excellent support in north India. Guests - Lt. Gen. Ajai Barnabas Masih UYSM, Capt (IN) Alokesh Sen, Mrs. Seema Bhatnagar, Shri P.D. Singh, Dr. N.C. Lunayach, Shri Suresh Kaul. Dr.A.R.K.Pillai presided over the function.